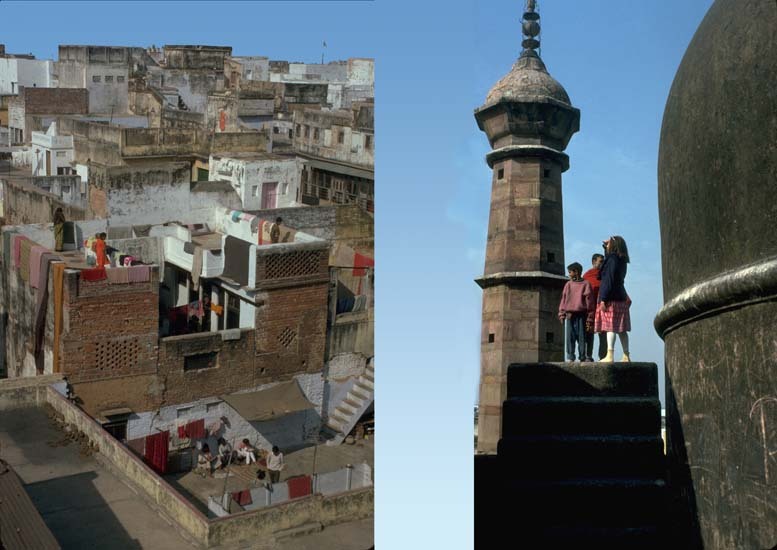 Varanasi from Above The town is full ancient temples. Phyllis looks over busy city roofs. We sleep in a youth hostel filled with young energetic travelers, near the ghats and the old town market. At night we float candles and flowers on the Ganges, amid this spiritual culture.